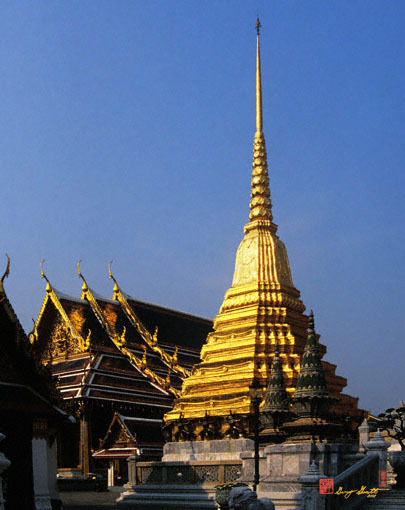 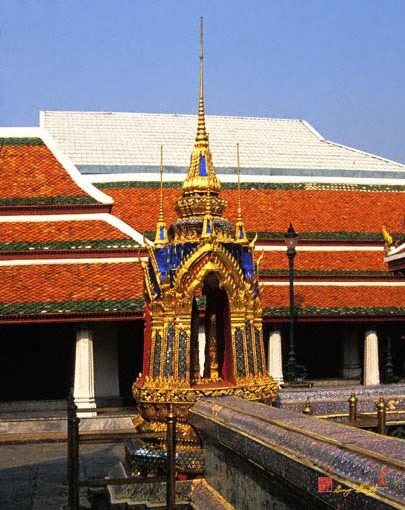 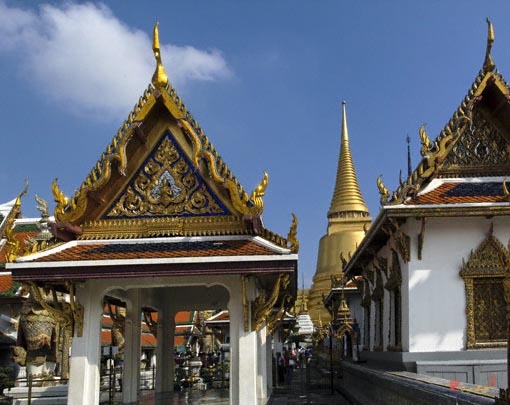 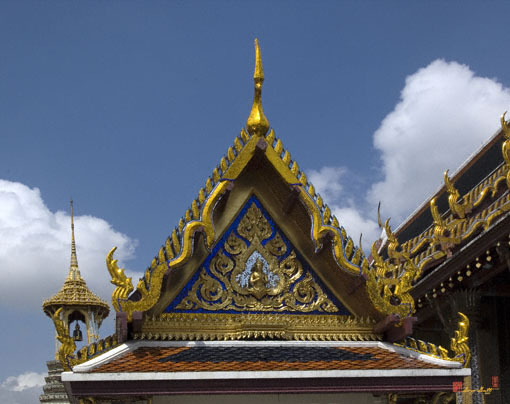 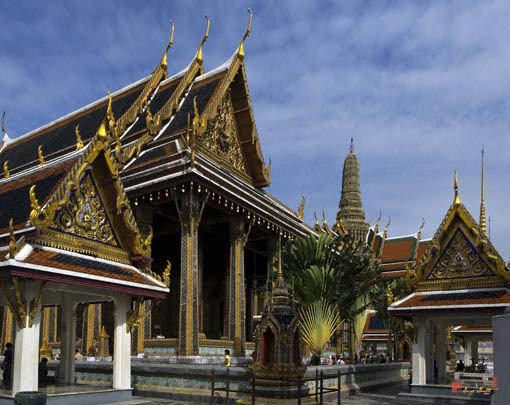 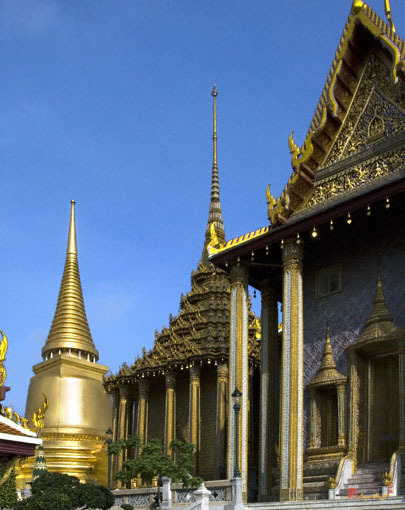 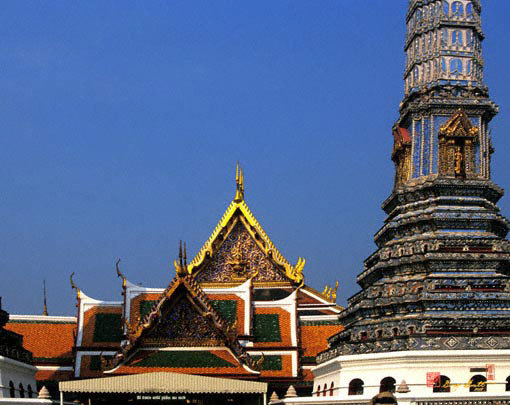 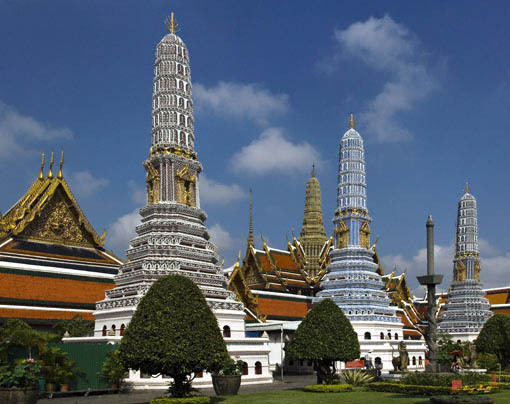 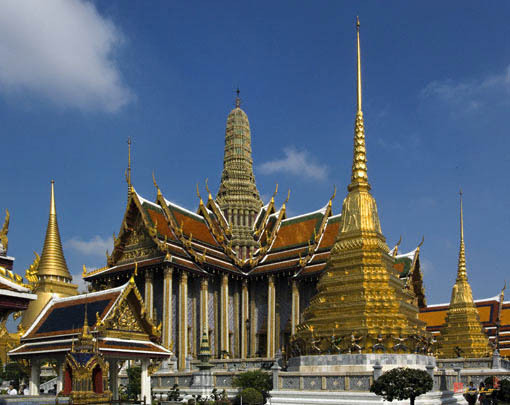 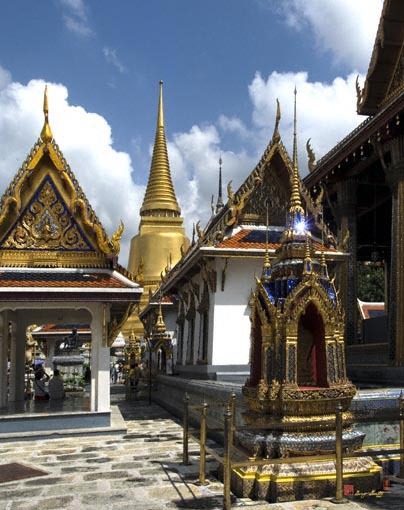 The Temple or Chapel Royal of the Emerald Buddha, located in a separate complex within the compound of the Grand Palace, is Thailand's holiest shrine. 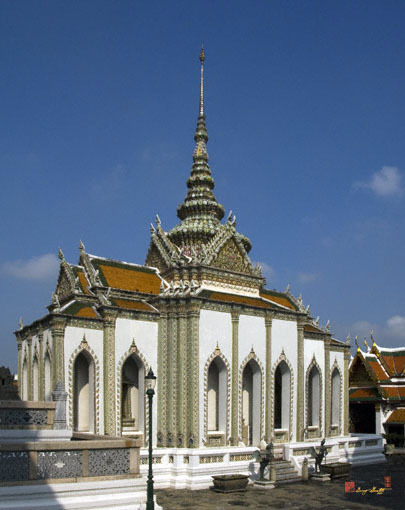 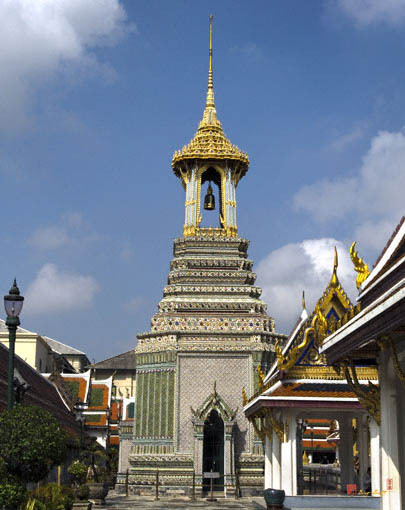 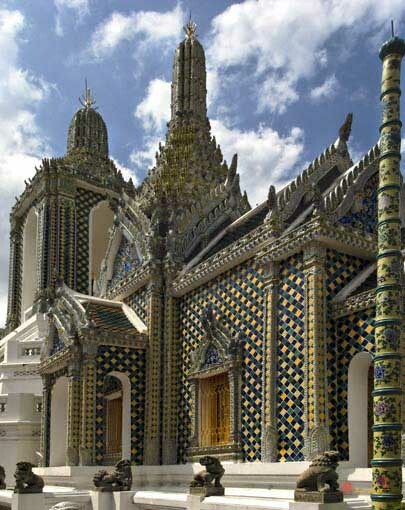 Officially named Wat Phra Si Rattanasatsadaram, the temple complex was modeled along the same lines as grand chapels from the Sukhothai and Ayutthaya eras. 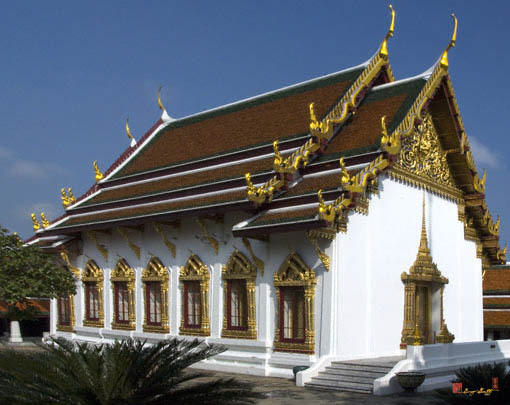 No monks reside within the temple. 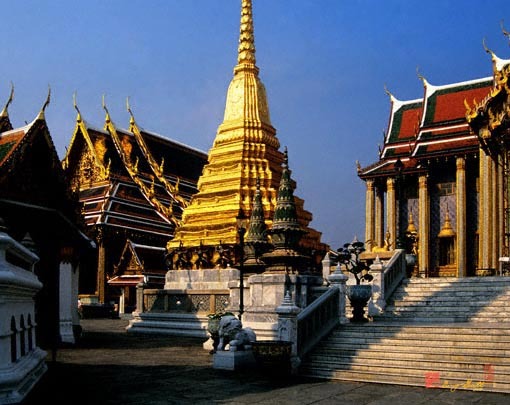 Construction of this site started in 1782, the year of the founding of Bangkok, as a shrine for the Emerald Buddha, a 66-cm tall jadeite statue and Thailand's most sacred Buddha image. 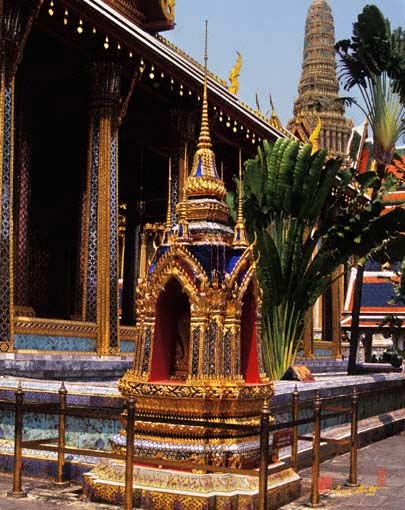 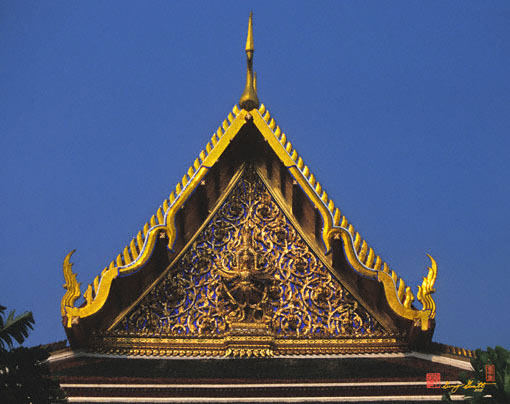 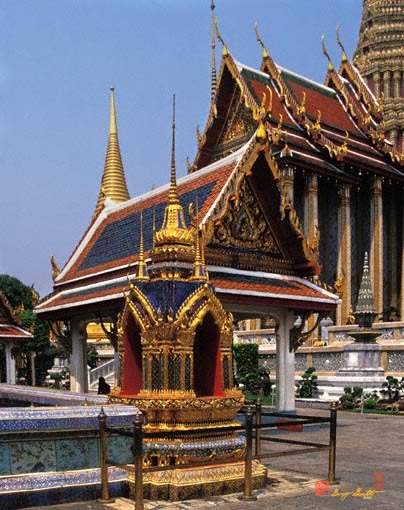 The Emerald Buddha, thought to be Lanna (Chiang Mai region) in style, sits atop an ornate gilded altar inside the 'bot' or royal chapel. 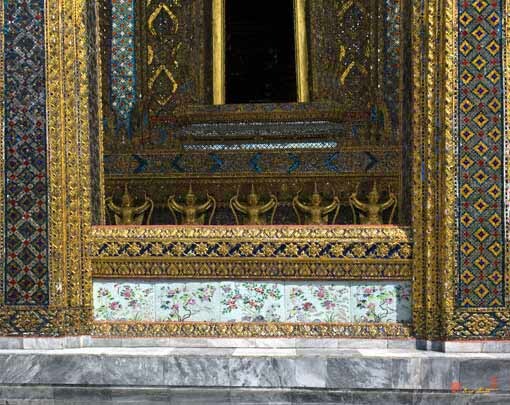 The image wears three different costumes depending on the season: a crown and jewelry in the hot season; a golden shawl in winter; and a gilt robe and headdress in the rains. 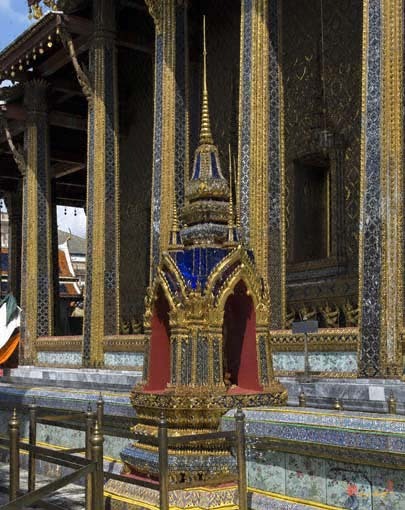 Each change of costume is presided over by the reigning monarch.